The modern piano dates from the early 18th century when an Italian harpsichord maker named Bartomoleo Cristofori invented a gravecembalo col piano e forte ("harpichord with soft and loud") in 1709. Cristofori created around 20 of these instruments, the first being made under the commission of the powerful Medici family of Florence (three of the original Cristofori are still in existence today). 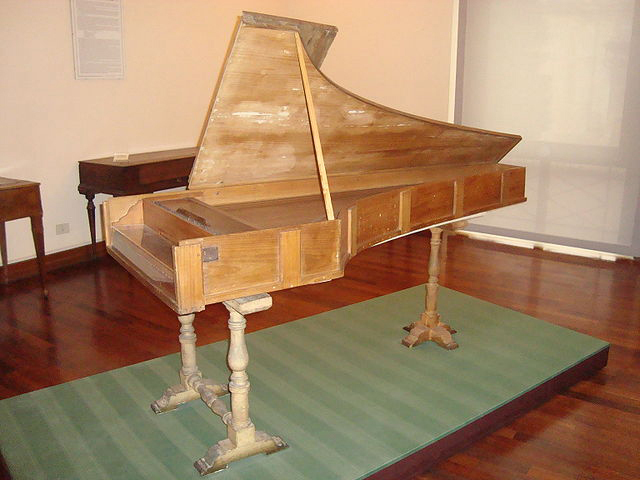 Cristofori's new instrument gave the player much more control over each note played than with the old harpsichords. Its working was based on a "hammer-string" method of producing musical notes (which replaced the method used in harpsichords which was to pluck the strings using a "quill"). When the player pressed the key, a hammer would strike a string and then immediately would come away and the string would then vibrate and produce a music note until the key was released which would then cause a damper to silence the string. With Cristofori's new instrument the player could press the keys hard or soft to produce a hard or a soft sound, and could also press the keys in other ways so as to produce further variations in expression, nuance and atmosphere. Cristofori's new instrument's original name (gravecembalo col piano e forte) showed that the inventor just regarded the instrument as another kind of harpsichord (although as we now know, it was in fact a very different, more flexible and more powerful instrument called the piano). 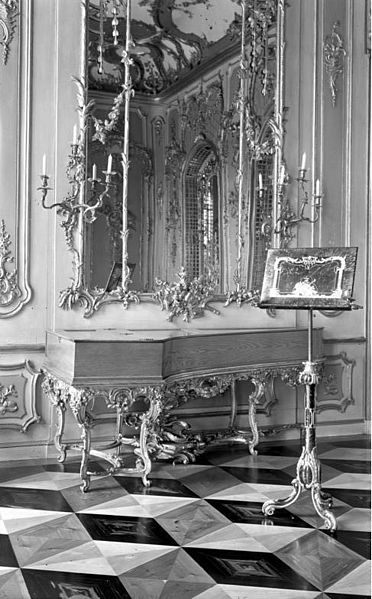 The original name was soon changed to fortepiano ("loud-soft"). From the early 19th century the name would become pianoforte ("soft-loud") or just piano, the name which we still use today. -- no damper pedals to lift the dampers (this innovation was to be added later by Gottfried Silbermann). Cristofori's piano did not achieve fame quickly. At first it was a very expensive instrument which only the Court or rich aristocrats could afford. Moreover, as it still used much of the old harpsichord style of stringing, it sounded a lot like those harpsichords. It was not until some years had passed, when the designs of Cristofori's piano had been published and studied right across Europe, that recognition was to come. Gottfried Silbermann, a German organ builder, added a damper pedal to Cristofori's design in order to improve the sound. When Silbermann showed an early version of his improved piano to the great composer, performer and conductor, Johann Sebastian Bach, the latter was unimpressed, saying that it was too quiet an instrument to be able to heard through the length and breadth of concert hall. It was only after Silbermann's followers further refined his design to partly respond to Bach's criticisms that the latter finally, some 40 years later, came to approve of the piano. -- First, a piano with a heavier, louder action. This kind of piano was built mostly in Great Britain and was similar in action to the grand pianos of today. -- Second, a piano with a simpler and lighter, a lighter piano with a lighter touch action. This kind of piano was built mostly in Vienna, Austria, and in Germany. This kind of design is seen in the German square pianos (which were actually rectangular in shape) of that period. The composers Wolfgang Amadeus Mozart and Muzio Clementi (as well as, a little later, Haydn, Beethoven and Chopin) began writing specifically for the piano and a unique "pianistic" style of composing and playing emerged. With the meteoric rise to fame of Mozart, the piano quickly became an important instrument in classical music with many composers writing concerti, chamber music, and song accompaniments for it. Piano designers strived to increase ever more the loudness of the piano (following Bach's advice) and also to make the notes higher and clearer. As the Industrial Revolution progressed, better materials were available to designers such as stainless steel for the strings (to replace the catgut strings of earlier models) and cast iron (allowing for larger and stronger framed pianos with ever more octaves added to the keyboard). Designers -- such as John Broadwood (United Kingdom) and Sebastien Erard (France) -- and manufacturing companies -- such as the French firm Pleyel and various Austrian and German firms -- continued to introduce innovations. In 1808 Erard introduced the agraffe, a mechanism to improve string tension. By 1820 Thom and Allen had introduced metal tubes to maintain an even string tension. In 1826 Jean-Henri Pape replaced leather-covered hammers with felt-covered ones (allowing for more uniform sounds and different hammer types). In 1844 Jean Louis Boisselot brought in the sostenuto (sustained) pedal. Later all pianos were to have two pedals: the sustaining pedal (forte) and the soft pedal (una corda). Some pianos were to have as many as four pedals. The piano frame was strengthened by cross bracing. The frame (also known as plate) was made stronger and thicker -- and was soon made of iron -- to act as a bulwark for the much higher string tension (ultimately up 30 tons) required by the thicker strings (the latter were needed to give the louder sound constantly being demanded). Early on John Broadwood started building pianos with metal plates (rather than just wood). In 1825 Alphaeus Babcock was building cast iron frames for the sounding board of pianos. In 1843 Jonas Chickering of Boston, U.S.A., introduced the full perimeter plate (full iron frame) for grand pianos. In the 1860s Steinway pianos in Europe also began using iron frames. All these innovations were being driven by the need for the grand piano's development as a solo instrument with increased loudness, more octaves and heightened capabilities of expression -- as demanded by the new kinds of music being written by the latest music composers such as Beethoven, Chopin and Liszt. Dual strings -- and then more than two strings -- were introduced for each note. All of these piano developments in turn inspired composers to exercise greater freedom to compose new types of music that could simply have not been possible with earlier pianos. Ludwig van Beethoven was writing his later works when steel strings and iron frames were added to pianos. Some critics suggest that Beethoven could not written these later works without these design innovations to the piano. Up to 1860 the main types of piano had been the grand piano (from 1777) and the square piano. Then around 1860 upright pianos became popular and began square pianos. Upright pianos meant that the piano was not only something seen in concert halls or in the mansions of the rich. Pianos were now increasingly seen in the homes of the increasingly wealthy middle class for whom a piano was a "must have" possession suggesting that the owner had culture and refinement. Pianos also became a form of entertainment center with playing the piano and singing around the piano becoming an inexpensive form of pleasure for the whole family. 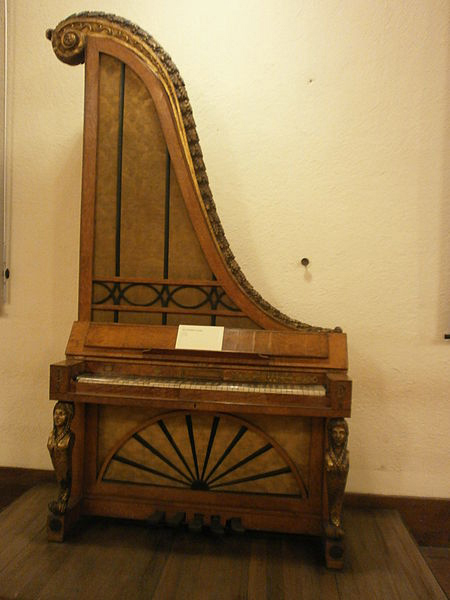 In the first half of the 19th century upright pianos were very tall (for example, the giraffe, lute and pyramid pianos) as the strings rose vertically from the keyboard in imitation of the earlier upright harpsichords. The design was improved with the invention of overstringing (shorter strings still ran vertically but the longer bass strings ran diagonally) in order to save space and allow the upright piano to be lower and easier to fit into small rooms with low ceilings. In order to make the sound of the piano louder, thicker strings were introduced. This in turn required higher string tension in order to maintain the pitch. In 1862 the typical tension was 16 tons; in modern pianos it is up to a massive 30 tons.